Beauty experts love these inexpensive self-tanners for a sunless glow. We're getting into sundress and shorts season — are your legs ready? A great sunless-tanner is key to bringing that glow to the surface without getting sun expsoure, and they've come a long way from the orange, streaky versions of a few years ago. 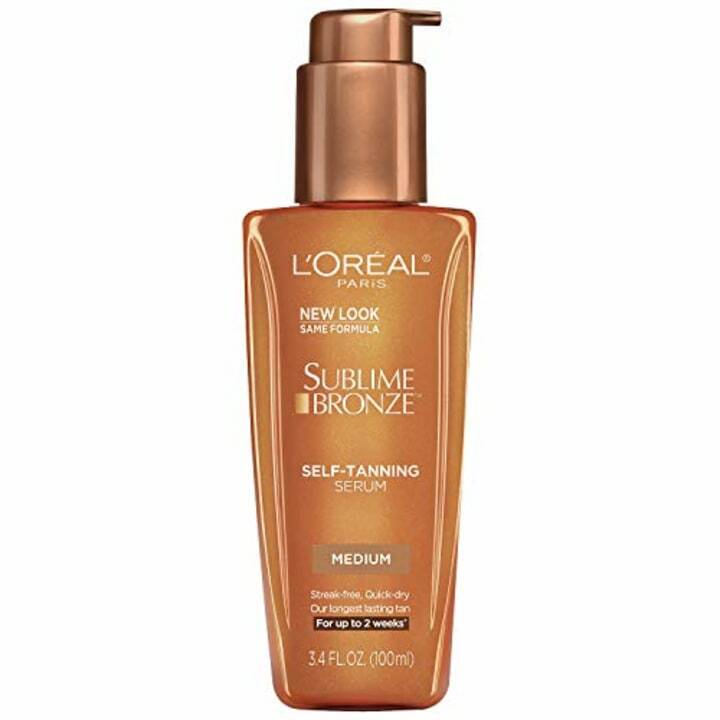 Luckily, some of the best self-tanners (even for fair skin) can be found in the drugstore beauty aisle and top beauty experts shared their favorite finds with TODAY Style. 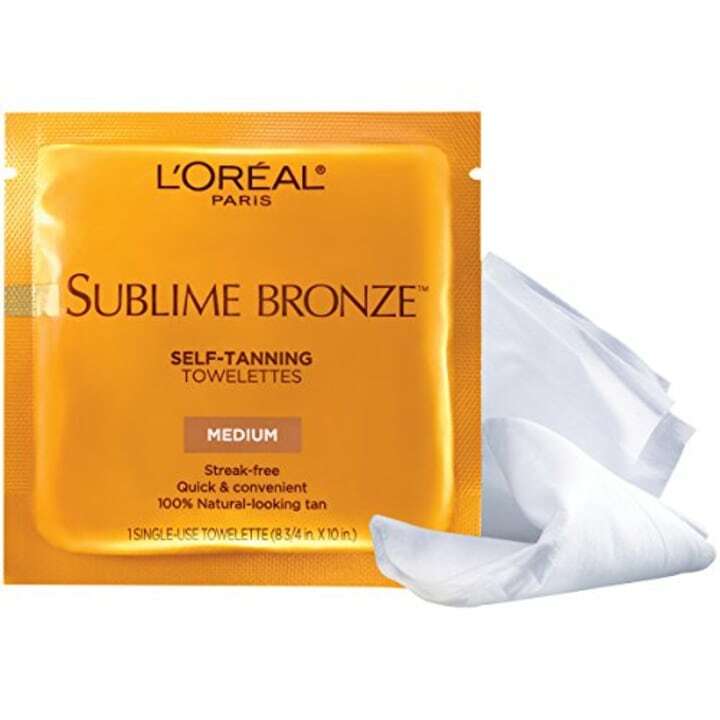 "Each towel is individually wrapped for one-time use and is drenched in a generous amount of self-tanner. It has a pleasant, mild, beach scent. I find that the towel application goes on more evenly than a product used directly by hand, so I don't get the usual streaking. The product develops into a rich, tan color that looks authentic. I also love it because you can toss them into your toiletry bag while traveling for a mess-free touch-ups," said Marie Watkinson, a beauty expert, massage therapist and founder of the mobile spa company Spa Chicks On The Go. Her celebrity clients include Joy Behar, Leslie Jones and Allison Janney. "(This is) the next best thing to getting a professional salon spray tan," said Karuna Chani, a makeup artist whose celebrity clients include actress Priyanka Chopra and singer Kanika Kapoor. "This spray easily covers every angle imaginable and dries super fast which means zero missed spots and no random streaks. An added bonus for acne-prone skin: The mist tanner is a much more skin-sensitive option than the lotion variety that can clog pores. For optimum results, exfoliate and moisturize the night before your treatment." 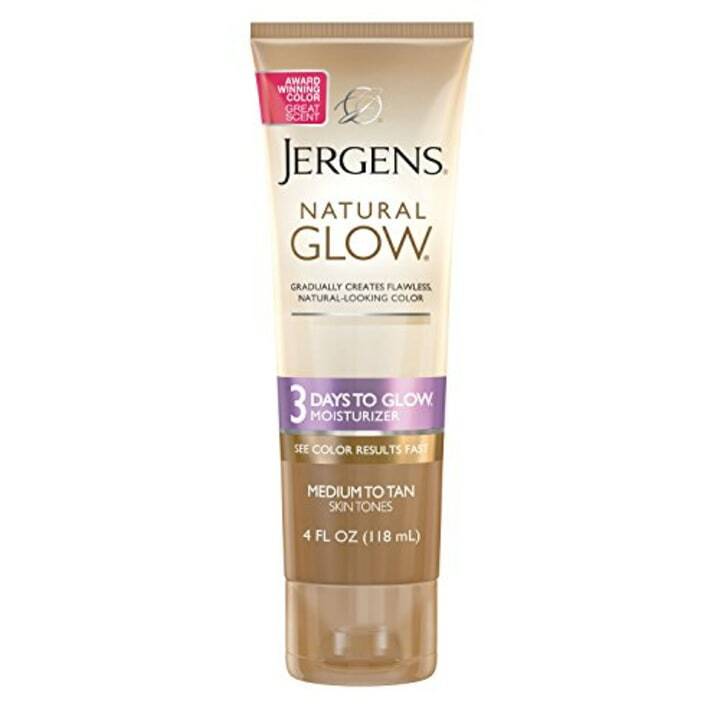 "The gradual tanning effect (of Jergens' lotion) prevents looking suddenly too tan and the formula is conditioning so you can moisturize while you tan," said celebrity makeup artist Ramy Gafni, whose clients include Kelly Ripa, Candace Swanepoel, Denise Richards. 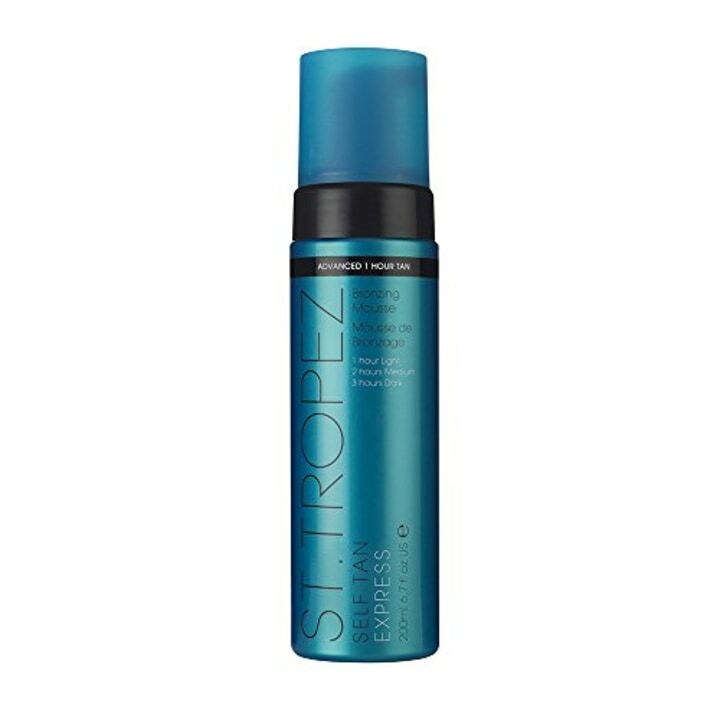 "St. Tropez is my favorite of all time. I use the One Night Only lotion on every single shoot when models have to be tan and they show up pale," said Mary Irwin, whose celebrity clients include Nicole Scherzinger and Hilary Rhoda. "This serum is not just for your body, but can also be used on your face," said celebrity esthetician Cinthia Lomeli, whose celebrity clients include Cheryl Hines and Diana Madison. "This is my absolute favorite! It doesn't smell, it's streak free, easy to use and so affordable. You can spray your body after showering for a golden-tan glow or you can spray on top of your makeup as a setting spray and to add glow. And it's perfect to use on the décolletage for some extra glow before going out!" said Katherine Dorn, makeup artist at Pierre Michel salon in New York City. "This product is quick, doesn't streak and smells good. Oh, and it lasts forever. You'll see quick results and it looks very natural. So easy to use!" said Dorn, who has worked with models like Jessica Hart and Sailor Brinkley Cook. "A must-have for adding a hint of sun-kissed tint, this is an easy and affordable go-to. Swap out your normal lotion and moisturize with this daily — adding a thin layer on clean, dry skin — for a natural-looking tan. Results are gradual and typically appear within one to two days. 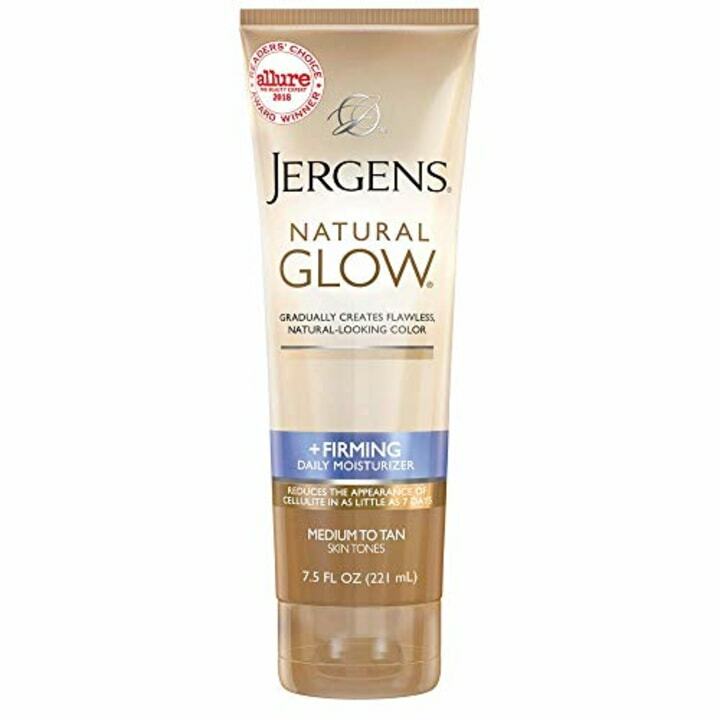 For even application, exfoliate with your favorite body scrub before using," Kate Stromberg said of this firming lotion from Jergens. Stromber is the lead makeup artist at Color, a salon by Michael Boychuck inside Caesars Palace in Las Vegas. 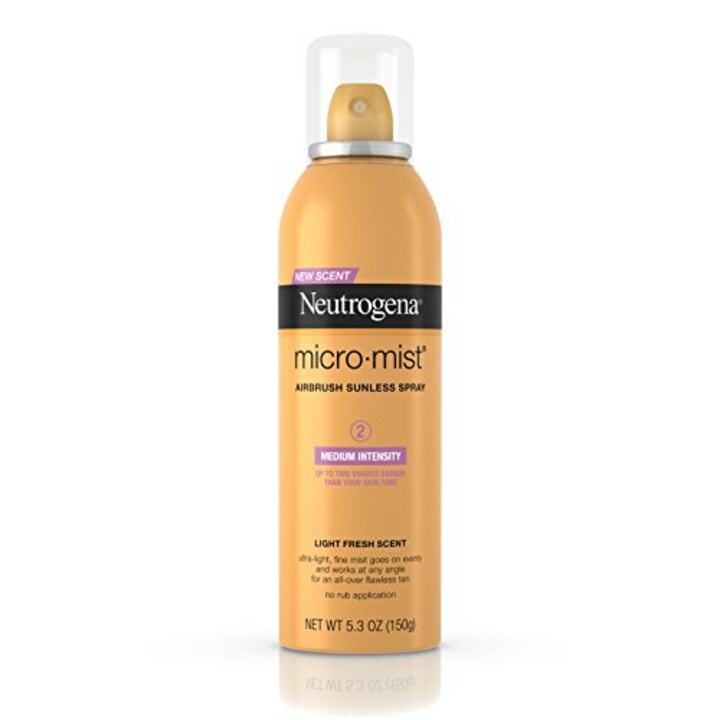 "A game-changer for summer nights, this spray-on, instant-tan formula is full coverage and easy to use for a last-minute glow that lasts all night. Combine a small amount of lotion and smooth all over legs as the perfect accessory to any spring or summer ensemble. Just don't hit the pool! The tan will only last until your next shower. It's easily removed with soap and water," said Stromberg, whose celebrity clients include Whitney Port, Bebe Rexha and Khloe Kardashian.